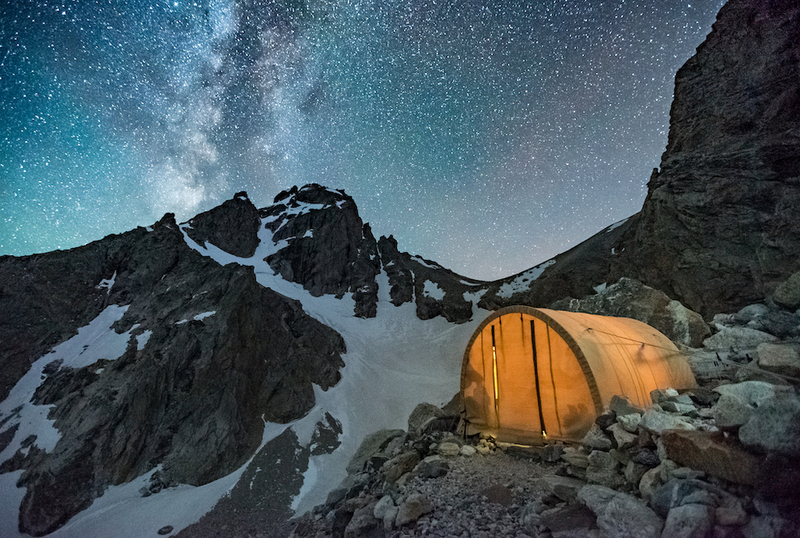 You can have an amazing time in the extraordinary national parks of the United States without setting foot on a hiking trail, let alone spending a night (or seven) in the backcountry. But there’s no question that these expressions of “America’s best idea” offer some of the very finest backpacking opportunities anywhere. Backpacking may be your only choice to truly explore large portions of big, remote parks. It can also allow you to shed the crowds in some of the most popular ones, such as Yellowstone, Yosemite, and Great Smoky Mountains, and discover solitude and deep quiet. And backpacking can make a relatively small, well-roaded park such as Shenandoah or Cuyahoga Valley seem expansive and primal. We love the fact that countless Mountain House feasts have sustained both front-country and backcountry campers in these sacred spaces for decades. Here’s a general overview of backpacking national parks in the U.S.! First-class backpacking awaits in national parks all across the country; which parks are “best” depends on what kind of backpacking you want to do and what your goals are—seeing wildlife, ditching crowds, getting a variety-pack overview for a given park’s scenery, etc. Here’s a decidedly non-exhaustive highlight reel of only some of the most popular among backpackers. Two extraordinary Appalachian parks, Shenandoah and Great Smoky Mountains, offer a great range of backcountry routes, from short and easy overnight eras to longer and more elevationally demanding multinight itineraries—not to mention the enshrined Appalachian Trail. The wilderness island of Michigan’s Isle Royale National Park in Lake Superior is one of the Midwest’s great backpacking destinations, with footpaths tracing the long forested ridges and offering plenty of opportunities for spotting moose and other Northwoods critters. The Rocky Mountain parks—Glacier, Yellowstone, Grand Teton, Rocky Mountain—are all truly outstanding backpacking destinations (heads up: in the first three, you’ll be sharing the woods, meadows, and alpine tundra with grizzly bears). So are the outrageously beautiful parks of the American Southwest, from Canyonlands, Grand Canyon, and Zion on the Colorado Plateau to the “hot deserts” of Saguaro and Joshua Tree and the Texas wilds of the Guadalupe Mountains and Big Bend national parks. The national-park-rich Cascade Range and Sierra Nevada also include some of the richest backpacking possibilities in the country, from the steep (like, way steep) slopes of North Cascades to the granite wonderlands of Yosemite and Sequoia-Kings Canyon. And then there are the coastal, rainforested wildlands of Olympic and Redwood National and State Parks. 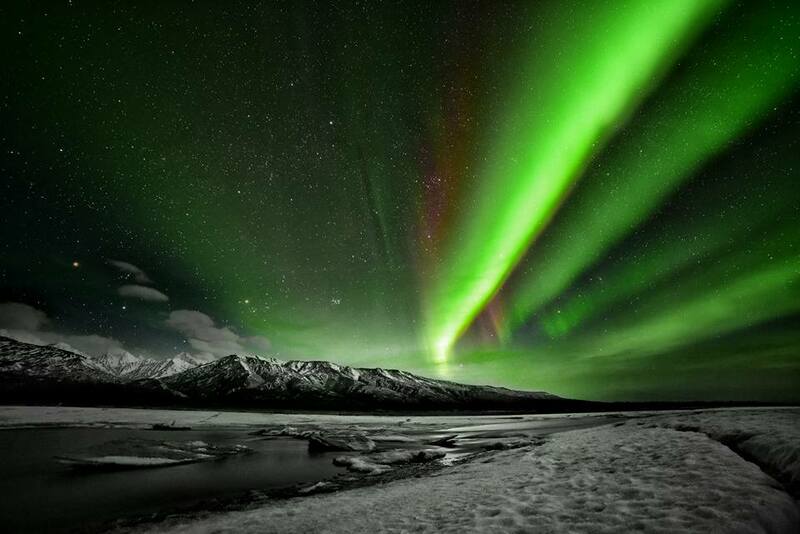 Alaska is your go-to for ultimate wilderness backpacking, with remote treks through parks such as Wrangell-St. Elias, Denali, and Gates of the Arctic—requiring wilderness navigation/route-finding skills and plenty of bear savvy. And don’t forget the Pacific Island adventures on hand in Hawaii’s Volcanoes and Haleakala national parks. There are too many iconic backpacking treks in U.S. national parks to provide any kind of comprehensive list here (and of course there’s plenty of subjectivity that goes into such a roundup). But here are a few definite classics! The Appalachian Trail Through Great Smoky Mountains National Park: Trace the Great Smokies crest along the 70-odd-mile portion of the fabled Appalachian Trail within the nation’s most popular national park, hitting up such Smoky Mountain landmarks as Clingmans Dome (at 6,643 feet, the third-highest peak east of the Mississippi), Charles Bunion (a rocky vantage delivering one of the best views in the range), and Spence Field (a broad, garden-like bald). Highline Trail to Fifty Mountain in Glacier National Park: Revel in some of the most heart-stirring, jaw-dropping, and mind-bending alpine scenery in America on this demanding trek from Logan Pass to the expansive high-country meadow of Fifty Mountain. Arrange a shuttle to extend this adventure northward to Goat Haunt on the border with Alberta’s Waterton Lakes National Park. Keep your eyes peeled for mountain goats, not to mention grizzlies. 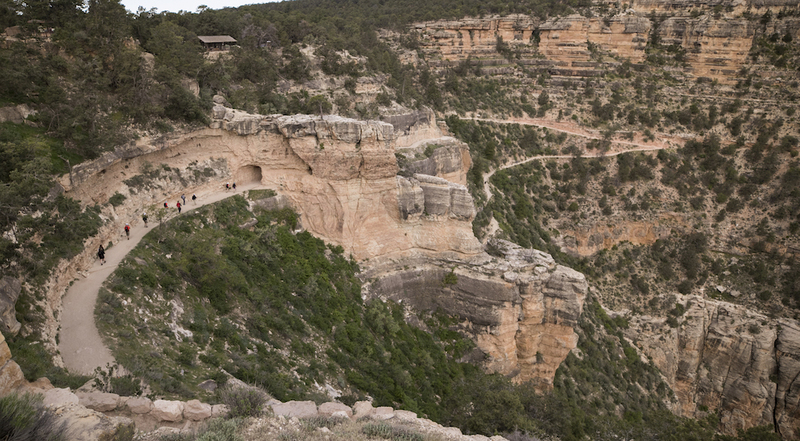 Rim-to-Rim in Grand Canyon National Park: As epic a hike as they come, cross one of the most fantastic chasms on Earth on a 24-mile traverse of the Grand Canyon from North to South Rim via the North Kaibab and Bright Angel trails. This is a popular route, but don’t take it lightly: Don’t take anything about a rim-to-rim walk through the Grand Canyon lightly. This is extreme terrain and often-extreme weather. The Narrows in Zion National Park: The sublime slot of the Narrows at the head of Zion Canyon is, along with Angels Landing, the most celebrated hike in Zion National Park, and while hordes of visitors do it as an upstream dayhike, you can also take a couple-day backpack beginning above at Chamberlain’s Ranch, exploring the full, waterlogged length. The Wonderland Trail in Mount Rainier National Park: This almost 100-mile circumambulation of the mother of all Cascade stratovolcanoes is one of the signature backcountry odyssey’s in the Pacific Northwest: crossing glacier-charged rivers, threading through vast wildflower parks, and all the while in the shadow of an absolutely gigantic, ice-sheathed mountain. John Muir Trail in Yosemite, Sequoia, & Kings Canyon National Parks: Glory in the singular grandeur of the High Sierra on this legendary 210-mile trek, which hugs the dreamlike crest of the range between two of its defining landmarks: Yosemite Valley in the north and 14,505-foot Mount Whitney—highest summit in the Lower 48—in the south. The trail (partly overlapping the Pacific Crest Trail) hits up three national parks (plus a national monument, Devils Postpile) as well as equally stunning intervening national forestland. 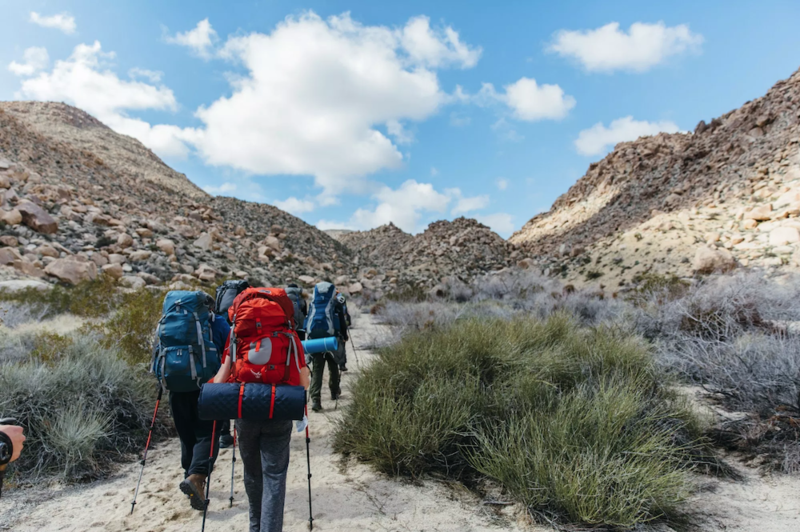 The good news is that the National Park Service provides clear and detailed information for backpackers on its park websites as well as multiple ways to contact rangers who can walk you through the process. Many parks maintain dedicated Backcountry of Wilderness Information Offices to manage backpacking. This entry was posted in Camping and tagged backpacking, national parks by Kelli Martinelli. Bookmark the permalink.